From work to play, the versatile style of the Waverly wedge keeps you going day-to-night! 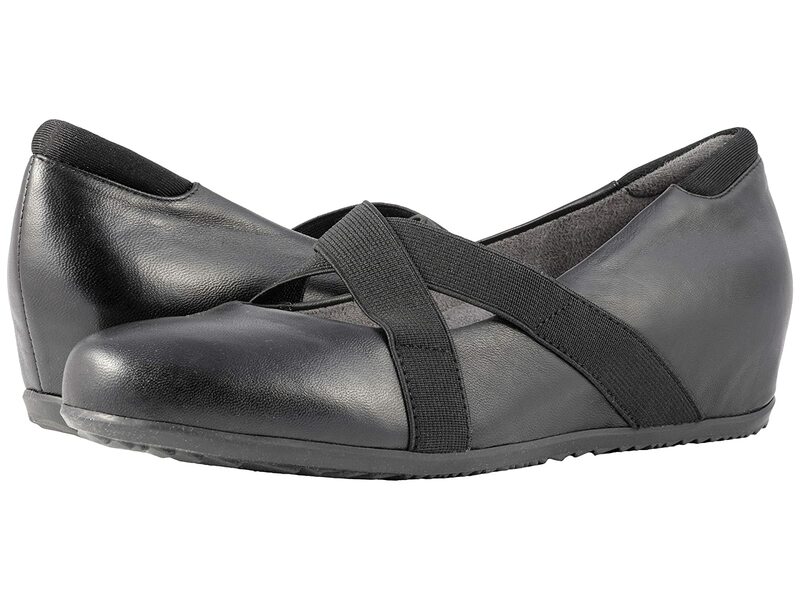 Easy slip-on style with elastic crisscrossing mary jane straps. Soft, breathable, and antimicrobial microfiber linings. Removable, cushioned footbed offers added arch support with perforations for added breathability.